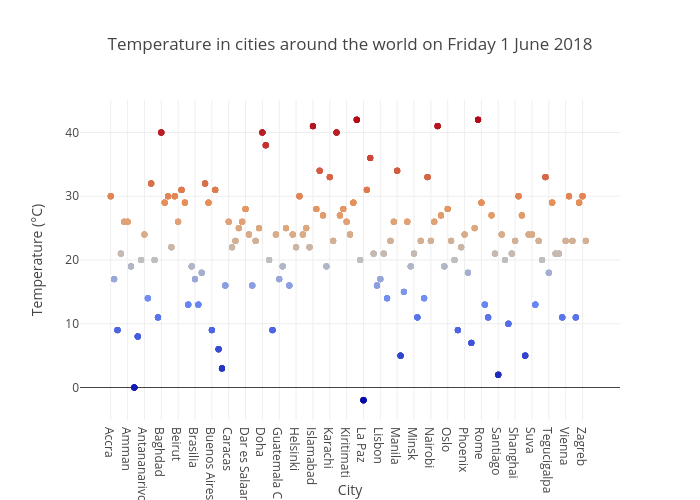 Ben.smye's interactive graph and data of "Temperature in cities around the world on Friday 1 June 2018" is a scatter chart, showing B; with City in the x-axis and Temperature (°C) in the y-axis.. The x-axis shows values from -8.679358717434871 to 150.67935871743487. The y-axis shows values from -4.989592625631877 to 44.98959262563188.